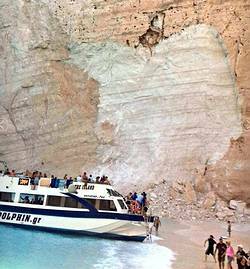 At least seven people were injured on Zante on September 13th 2018 by a rockfall at the very popular Navagio (shipwreck) beach. There were more than a dozen tourist boats in the bay at the time. The weight of the rock created a mini tsunami which flooded the crowded beach and overturned a couple of smaller boats. 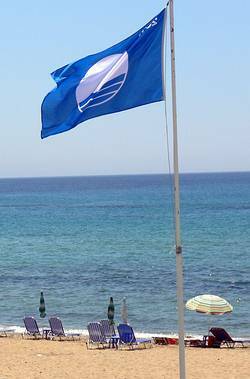 All 18 of Zante's blue flag beaches lost their blue flag status this year, but it's not as bad as it sounds. 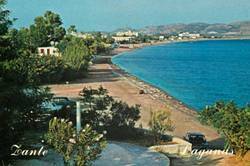 In all cases except Krioneri beach, near to Zante Town used mainly by locals, water quality was still rated as excellent. Other factors such as an absence of lifeguards, litter and disabled access were cited as the main reasons. It's expected that the bigger, more popular beaches will make the required improvements and regain their blue flag status next year, but smaller beaches may find it difficult to reach the standards now demanded. For a comprehensive list of reasons why the blue flags were withdrawn click the button below. 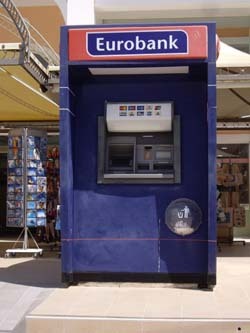 Ever wondered why there are so many ATMs on Zante these days? It's because the banks have discovered a trick of processing transactions in pounds instead of euros allowing them to use their own exchange rate, a process called Dynamic Currency Conversion (DCC). The table below shows the comparative cost of obtaining €100 from the most common ATMs if you follow the default option of processing the transaction in GBP, and looking at the receipts left behind by other customers most people are still letting the ATMs steal up to 10% of their holiday money. 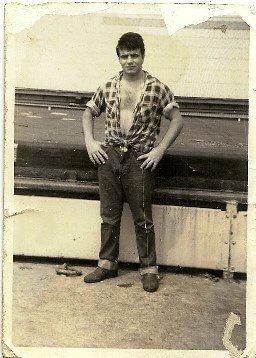 Many people believe that the ship was smuggling contraband cigarettes and ran aground after being pursued by the Greek navy. The truth is somewhat different. The ship was sailing from Kefalonia to Albania when it suffered a mechanical failure on the return journey. With no control and bad weather preventing any rescue the ship ran aground at Navagio on October 2, 1980. MV "PANAGIOTIS" Captain Charalambos Kompothekras - Kotsoros has released the full story about what happened. The highest resolution picture ever taken of Zante Town. Use full screen and zoom right in to get the full effect. Checkout the rooftop pool on the Strada Marina Hotel or marvel at the complexity of the back roads in town. 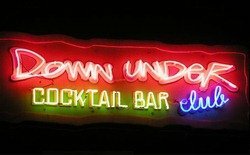 No wonder everybody gets lost when they venture in there. Look harder and you can even see the Kalamaki Water Park in the distance. Save time and money on airport transfers by picking up your hire car at the airport. 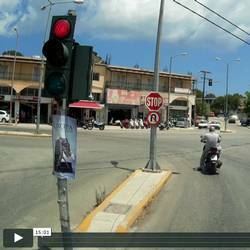 The videos show the easiest route from the airport to your resort. Use the direct Vimeo link on the bottom right for more options including downloading the video to play on your smartphone or tablet on arrival. 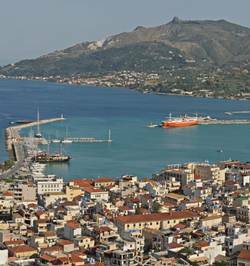 Although ancient writers attest that Zakynthos was only inhabited during the 15th and 16th centuries BC, Thucydides mentions that the first settlers were Achaians from the Peloponnese. 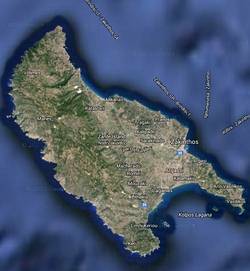 We have only mythological sources to account for the island's prehistoric years, but these, however, may well contain grains of historical truth. 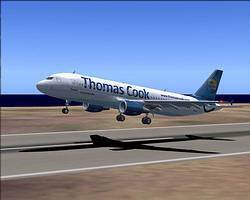 We've resurrected some of the more popular bars and restaurants that have disappeared over the years so you can revive memories of your old holidays on Zante. Probably the best place to actually see a turtle. Just wade about in the shallow water and if they are about you will soon spot one. It's as busy as you'd expect from a Club 18-30 resort, but keep walking and you'll find a long stretch of beach where development has been prevented by the Marine Park. A big sandy beach which rarely gets crowded despite new tourist developments nearby. Plenty of tourist facilities nearby without feeling overly commercialised. Often criticised, mainly because in many places there is no beach! At least the water is shallow with a sandy bottom making it good for bathing. 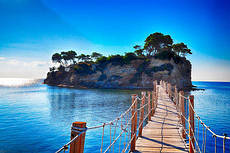 For a relatively small island Zante has more than its fair share of fine beaches, one of the main reasons for its popularity with tourists and the Loggerhead Sea Turtles. All of the main resorts (with the exception of Argassi) have excellent beaches on their doorstep, and if you venture outside of the resorts there are plenty more to discover.